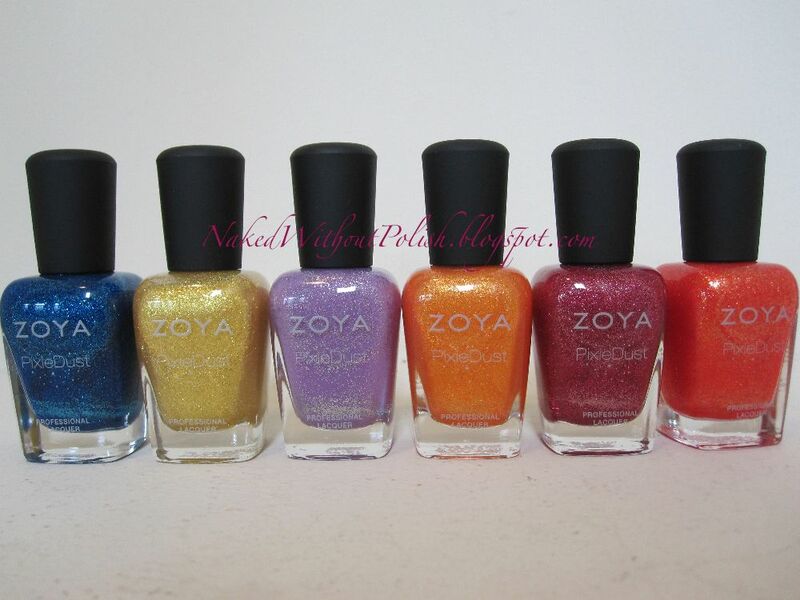 Last month I showed you all my swatches of Zoya's Spring PixieDust Collection. 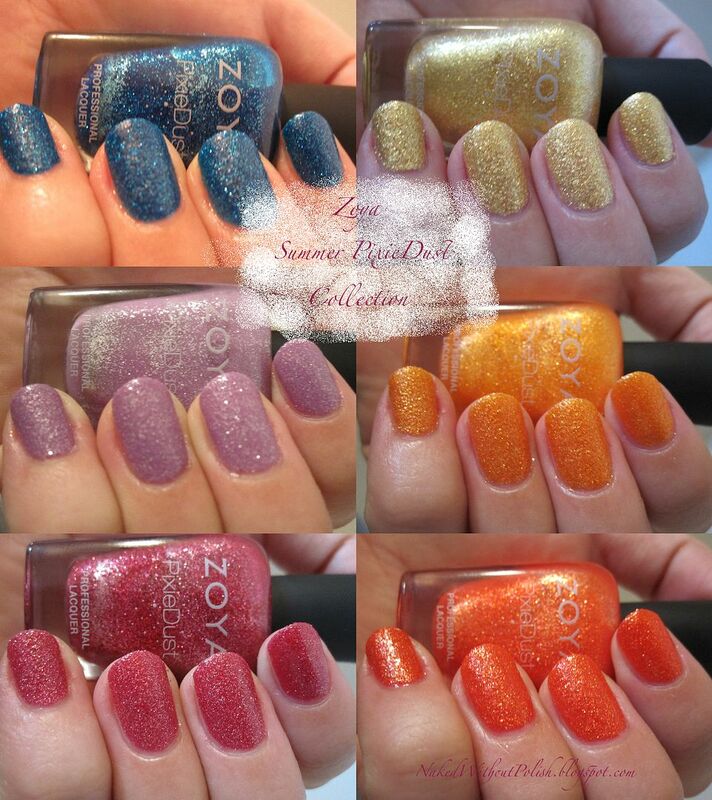 This month, I get to show you Zoya's Summer PixieDust Collection. The summer colors are so very vibrant and absolutely gorgeous! 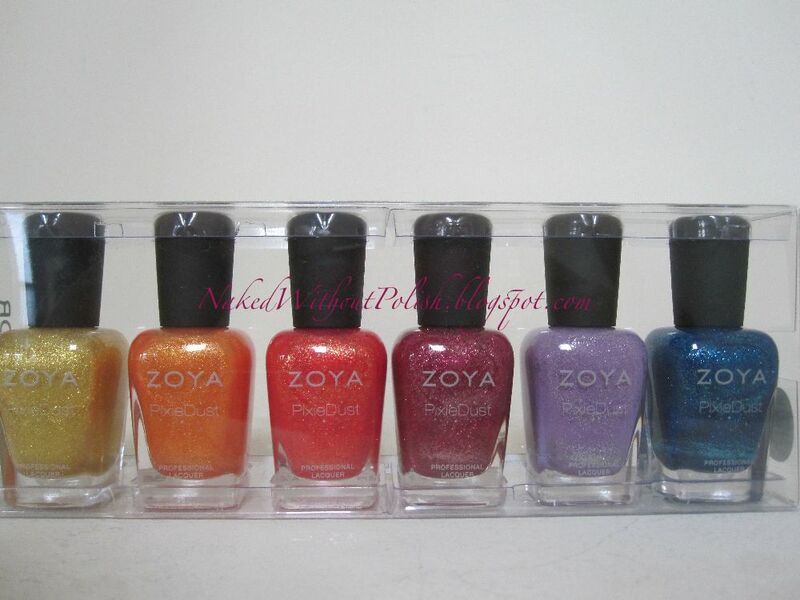 I love the way Zoya collections are packaged! I always have to take a pic of them like this. 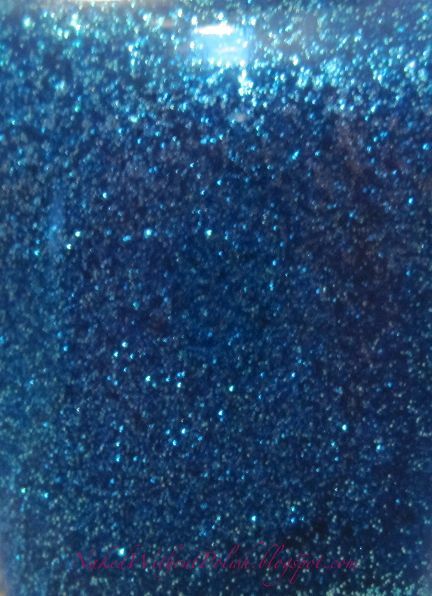 Liberty is described as "blue with a sugary sparkle". This is three coats of Liberty. 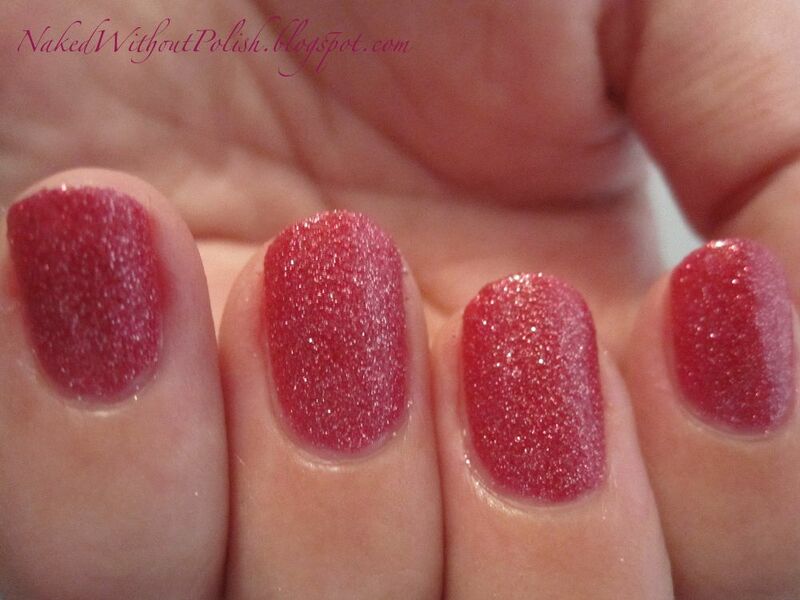 I used a creamy base coat from SinfulColors under Liberty because I was warned of staining. I was glad I used the creamy base coat because when I took this off there was still some minor staining. I don't even want to know what my nails would have looked like had I had used my normal base coat. Liberty is probably one of the most beautiful blue polishes I've seen! The only downside to this beauty is the staining. 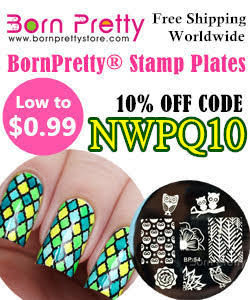 But once it's on your nails and you see how truly beautiful it is on, you won't care about the staining. It's a small price to pay...and it's worth it! 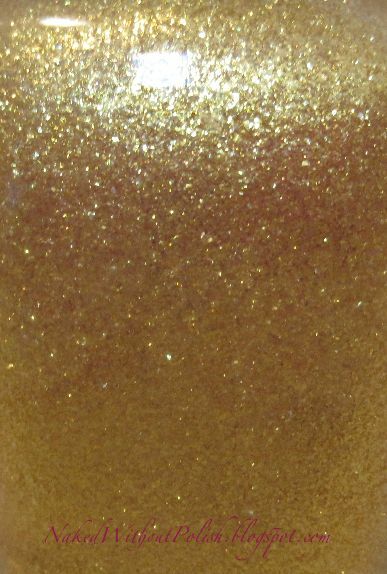 Solange is described as "a gold metal foil sparkle". This is three coats of Solange with Cult Nails Get It On base coat. Solange really surprised me! It's the perfect blend of gold and yellow. I'm not usually a fan of gold polishes, but the blend of the two colors was sheer perfection! Definitely in my top three colors of this collection. Solange has me singing "It's gonna be a bright, bright, bright sun-shiny dayyyyyy!" You can't help but be happy with Solange on your nails! 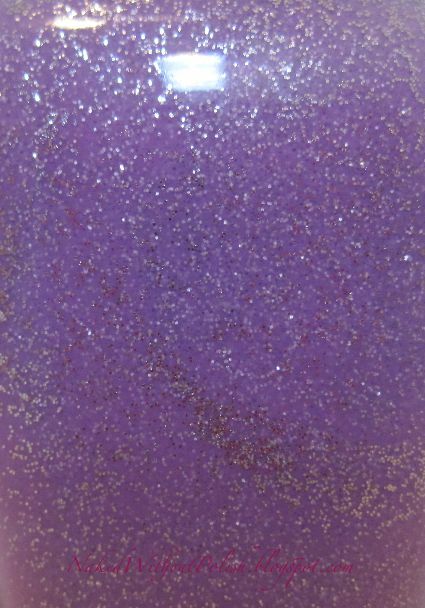 Stevie is described as "a violet sparkle". This is three coats of Stevie with Cult Nails Get It On base coat. It's a beautiful spring pastel, but it really doesn't seem to fit in with the other colors. It's the beautiful black sheep of this group of six. 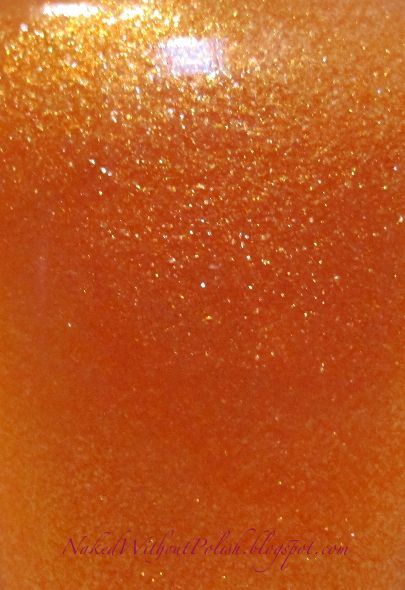 Beatrix is described as "a tangerine metal sparkle". This is three coats of Beatrix with Cult Nails Get It On base coat. Beatrix is such a succulent and juicy color! 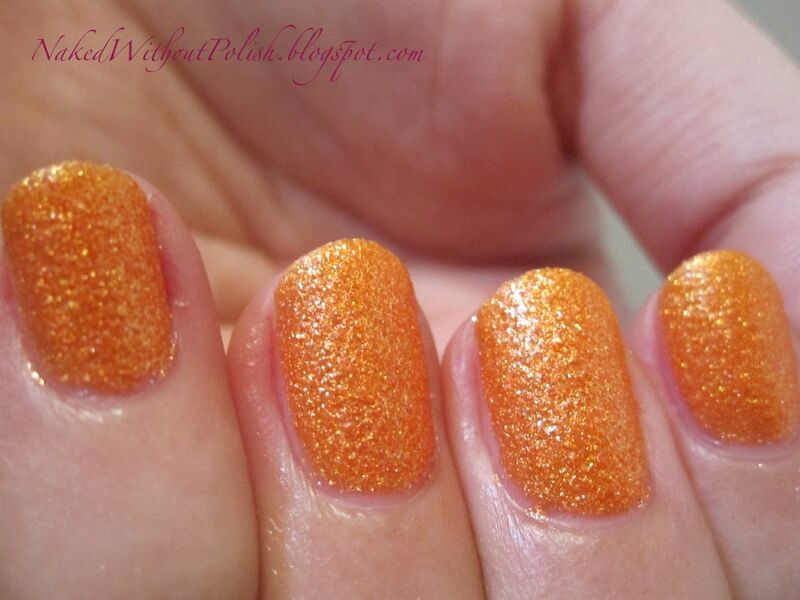 I don't think I've ever been this excited about an orange polish before. I almost want to rub my nails on orange zest to make them smell like they look. With the texture they almost even feel like a real orange. Miranda is described as "a rose sparkle". This is three coats of Miranda with Cult Nails Get It On base coat. 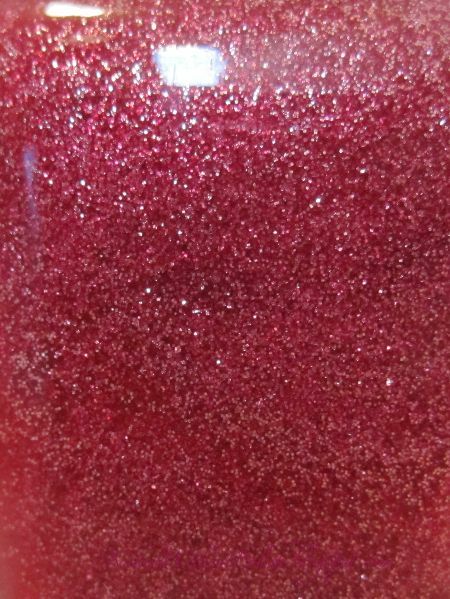 I wouldn't call this a rose sparkle at all, this is a juicy raspberry. I fell in love with this color the second I saw it in the package. 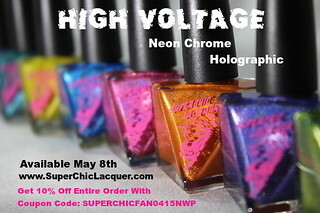 Once I got it on my nails, I knew it, too, was in my top three colors of this collection. I'm loving berry colors right now. Miranda is no exception. This color is a great color year round! So very versatile. 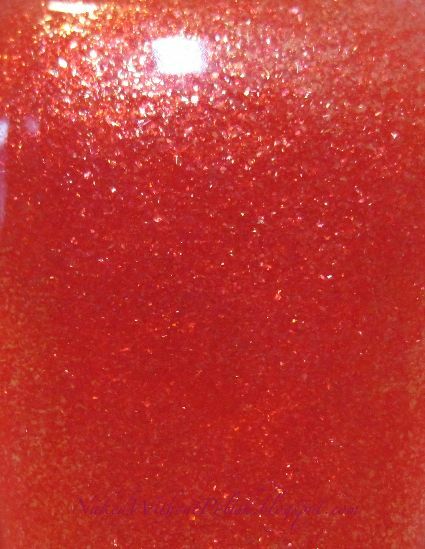 Destiny is described as "a coral metal sparkle". This is three coats of Destiny with Cult Nails Get It On base coat. My favorite out of the whole bunch! Destiny reminds me of the color of a ruby red grapefruit when you cut it in half. It's unlike any color I've seen. Destiny left me speechless. I didn't want to take it off. Look at the stunning color. The shimmer just adds to the beauty of it, but Destiny could easily work without the sparkle. This just might be my favorite color this year. 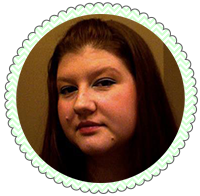 I know it's too early to say, but Destiny has made an impact and I know that it will be a hard one to beat. As much as I loved the Spring PixieDusts, the Summer colors blew them out of the water! They are so bright, vibrant and cheerful. Stevie seemed a little out of place though. I felt it would have been a better fit with the Spring PixieDust colors. Maybe even swapped and put Chyna with these. As I swatched these, each one (with the exception of Stevie) reminded me of a fruit. This should have been the Fruits Collection. Liberty = blueberries, Solange = lemons, Beatrix = oranges, Miranda = raspberries and Destiny = ruby red grapefruits. This is where Chyna would be apples because I have no idea what Stevie would be. 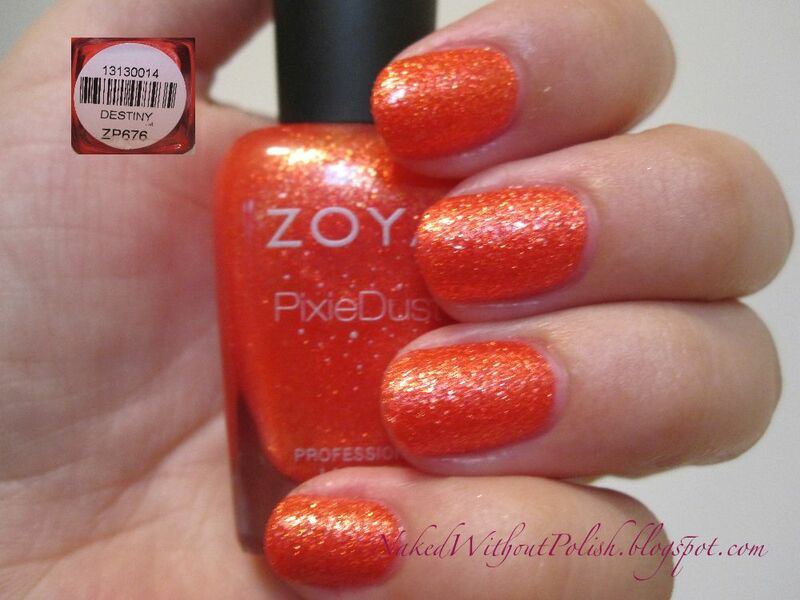 The application of these was the same as the Spring PixieDust polishes and just as good as any other Zoya polish. Three coats is definitely needed for full coverage if you do thinner coats like I do. I'm sure if you used thicker coats you'd be good after two. They are all so perfect! 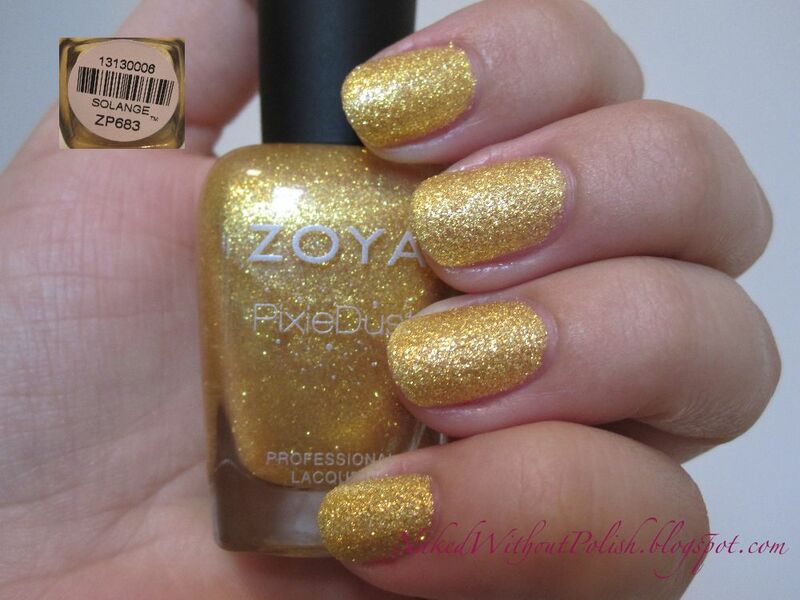 I still haven't tried any textures from other brands, but Zoya is making is easy for me not to want any other brand. That's for sure! My three must haves from the Summer PixieDust Collection are (in no particular order): Destiny, Solange and Miranda.